Indian Development Foundation, Sarthak Manav Kushthashram and Ramgarh Re-integration Centre celebrated Republic Day at Tilak Bal Gurukul, Langadiyawas village and Nonpura village and RRC Centre, Ramgarh. Tilak Bal Gurukuls are the village school of IDF and monitored by SMK and RRC. A patriotic and festive feeling was created in all the centres as the Indian flag was hoisted. Special programme organised by the students made the event more colorful. Dr. Narayan B. Iyer, CEO, IDF was invited as Chief Guest at all the three centres. Dr.Narayan Iyer made announcement of iDiscover programme as Republic Day gift to the students. iDiscover will inculcate scientific temper among young minds. The Young World section of The Hindu (25-01-11) has featured IDF organising a social exchange programme on the Kite flying festival. Sahil at 7 is the youngest social ambassador of Indian Development Foundation. Student of class 2 at Marble Arch School, Sahil wants to spread the message of goodness and build confidence among young minds. 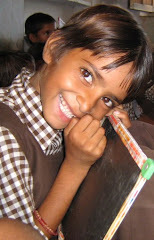 His favourite poem, `Koshish Karne waalon ki kabhi haar nahi hoti' was well received by the children at Vimala Centre. I will try and do my best during free time and support IDF's social programmes, said Sahil with a smile. 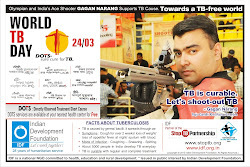 Dr. A.R.K.Pillai and Dr. Narayan Iyer inducted Sahil Rupani as IDF's youngest social ambassador. Indian Development Foundation (formerly Indian Leprosy Foundation) organised a feast for the inmates of St. Joseph's Leprosy Hospital, Arokiapuram in Tuticorin on Friday to mark the harvest season of Tamil Nadu. The leprosy hospital in the Port City of Tamil Nadu was full of activity as the team from IDF reached the centre in the morning hours of 14th Jan. to greet the inmates and distribute food and sweets on Pongal festival ocassion. 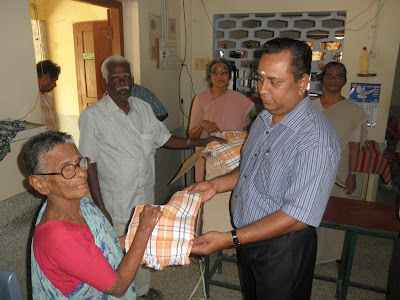 IDF team comprising S. Sreeram, S. Arumainayagam and Darwin Ramesh also presented towels to the inmates as they shared happiness. 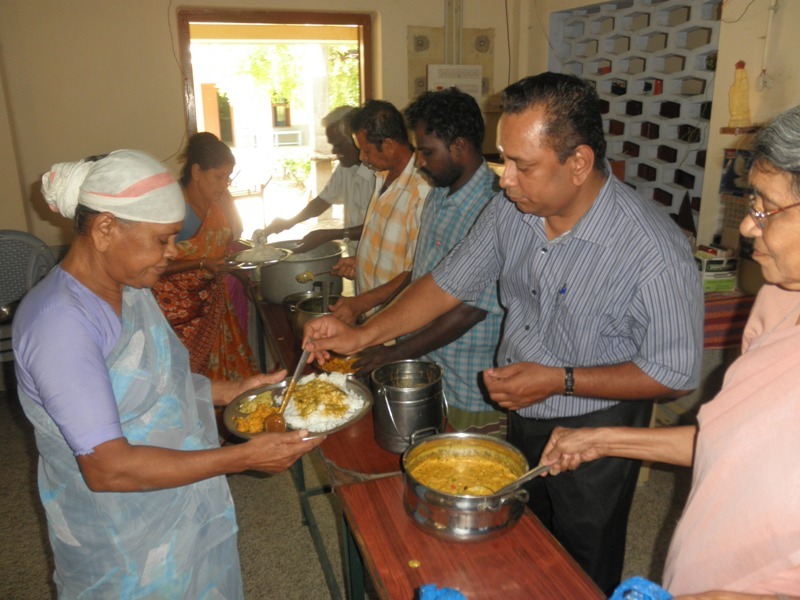 `We have been organising such reach-out programmes for over two decades and it gives us immense satisfaction to share goodness with our brethren on festive occasions', observed Sreeram. 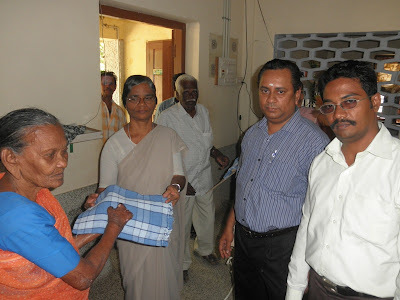 Sr. Cecily from the Hospital thanked IDF team for organising Pongal function in a meaningful manner. The radiance of happiness could be seen on the faces of the patients as they were comforted with compassion. Students of Podar International School (IB), Santacruz visited St. Catherine's School at Veera Desai, Andheri to celebrate Makarsankranth with a difference. Indian Development Foundation, a national NGO organised a get-together programme of the Podar students and St. Catherine's School students where they mixed with each other and distributed colourful kites made by them. Podar students took keen interest in making special kites and they also decorated the kites in various fashions. Mrs. Sarala Gavane, CAS Co-ordinator of Podar School, along with teachers led a group of 90 students from class 3 to St. Catherine's School in the morning hours of Thursday (13/01/2011) where she explained the importance of Makar Sankranth to the students gathered and also conveyed the message of love and brotherhood. Dr. Narayan Iyer, CEO IDF talked to the students and congratulated Podarites for coming forward and participating in such a meaningful exchange programme. Every school should have such kind of exchange programme where the students mix with others and share the joy of participation, he added. It's a festival time to celebrate the winter solstice and the change of direction which is nothing but changing from the darkness of delusion towards knowledge, light and wisdom, said Vaibhavi (10), student of St.Catherine's School. The visiting students presented beautifully made colourful kites to the St. Catherine's School children. Every child took keen interest in the exchange programme and shared personal information. It was all a fun to see the colourful sight in the St.Catherine's campus. Students teaching each other the method of tying strings to the kites and the tips to fly kites high in the sky. It's really fun to fly kites and also share love with the Catherine's children, said the students from Podar School. 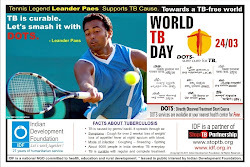 Dr. Sharad Nayampally, Prof. Prahlad Kedia, Wg. Cdr. S. Balasubramaniam from IDF and 13 Social interns from ITM Business School, Kharghar co-ordinated in organising the event. The documentary is made by the AED students as part of their social responsibility initiative. We congratulate Mr.Hamidreza and Mr.Mehrad for their wonderful work. IDF thank AED team, Capstone Films and Whistling Woods International for their excellent contributions. The projects shown in this documentary are Vimala Dermatological Centre and Bombay Leprosy Project. 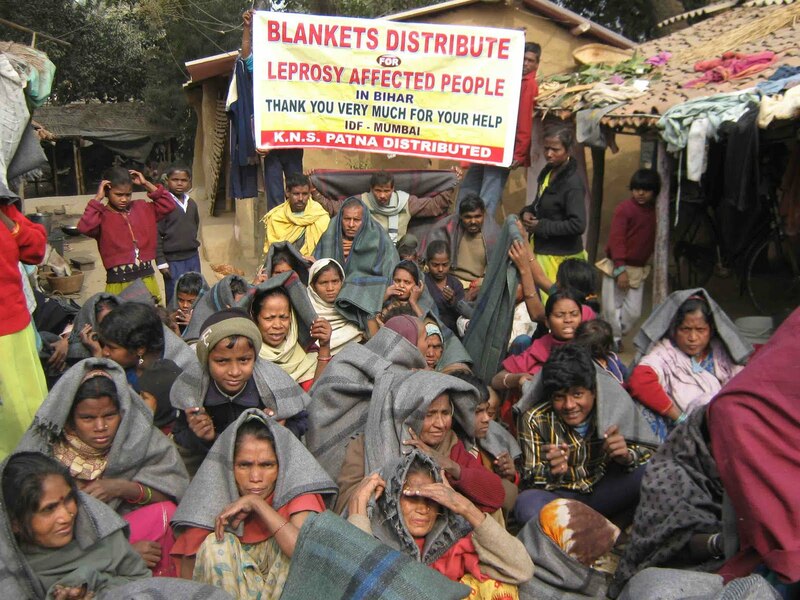 IDF partners with over 100 leprosy/TB projects in India and has established 26 Bal Gurukuls. We value your kind and continued support. Indian Development Foundation organised its fourth round of blanket distribution in Bihar. 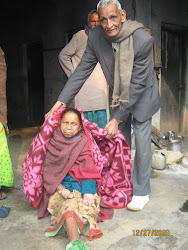 This time it was at Ram Nagar Kusth Ashram and Prem Nagar Kusth Ashram, Khagaul, Danapur ( Patna ) on 05/01/2011. Thanks to Mr.Thomas from KNS, Patna for organising the distribution. IDF thank all the supporters for lending a timely help. Students from ITM Business School, Kharghar, Navi Mumbai interns with Indian Development Foundation as part of their social responsibility projects. The students will be participating in IDF's health, education and development programmes. Dr. Narayan B. Iyer, CEO, IDF addressed the students at IDF and Vimala Centre on 4th Jan. 2011 on various social projects of the Foundation and helped to make a roadmap for a month-long programme.